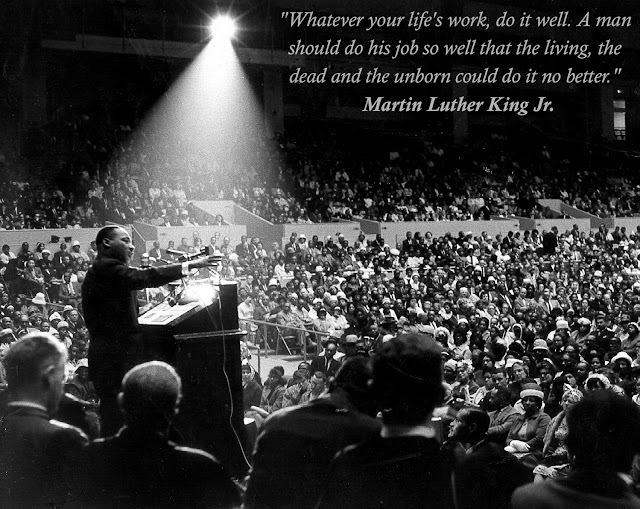 There are endless amounts of memorable quotes by the late Dr. Martin Luther King Jr. As I browsed through a never-ending list of his most famous words, this particular quote jumped out at me - mainly because it reminded me of my dad. Growing up, I was taught that attention to detail, hard work and dedication were just as important as actually completing the task. Regardless of your outlook on life, do your work well. Happy Martin Luther King Jr. Day and if you're in Southern California, enjoy the lack of traffic today.